What if your job description included carrying 48-pounds on your back, four days per week, for five hours per day? For the past 38 years, professional caddy Russell Craver sees doing exactly that as anything but a burden. In fact, Craver’s knack for strategizing with the game’s best players on the world’s most storied courses has been his ticket to experiencing golf on nearly every continent. Craver’s career began in 1977 when he caddied for Curtis Sifford at the Jackie Gleason Inverrary Classic in Ft. Lauderdale, FL. 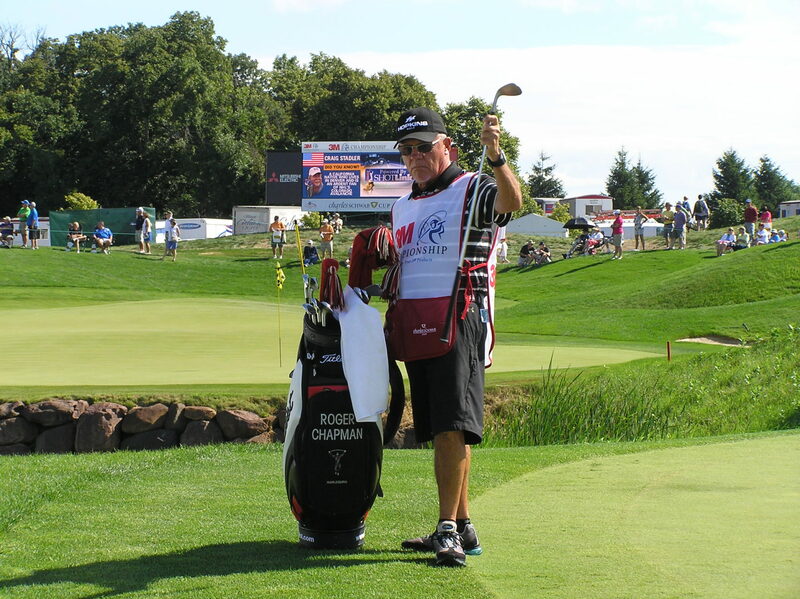 The 59-year-old Craver’s latest caddy chapter found him carrying the black, white, and red-colored bag of English golfer Roger Chapman at the 3M Championship at the TPC in Blaine. The caddy world has come a long way since Craver’s maiden 18 holes. What hasn’t changed is Craver’s passion for golf and doing whatever he can to help his boss surge to the top of the leaderboard. Craver’s first years as a caddy happened long before there were yardage books and lasers targeting pin placements within a fraction of an inch. Back in the day, Craver would walk off yardages himself and keep a log charting what to expect once the tournament began. Craver still arrives at the course at least two hours before Chapman’s tee time and checks pin placements and anticipated weather conditions. 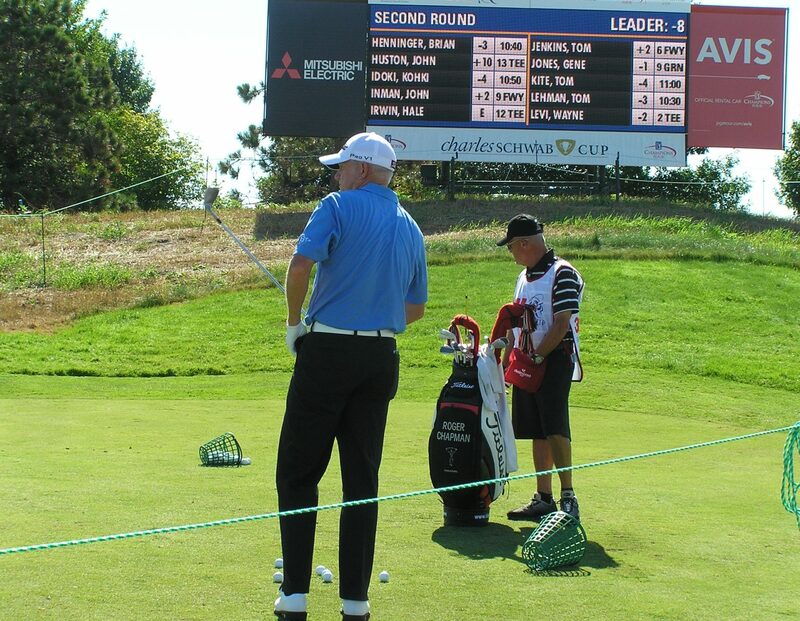 Once Chapman arrives, caddy and player go the practice range and putting green to warm up. When asked his best caddy memory, Craver didn’t hesitate. “I was fortunate to caddy for Larry Nelson when he won the PGA Championship in 1981 and the U.S. Open at Oakmont in 1983,” Craver said. Nelson’s U.S. Open victory was especially dramatic because he climbed from seven strokes down to defeat Tom Watson by a single stroke. Craver’s most humorous caddy experience is nearly as impressive. “I was caddying for Australian David Graham at the Byron Nelson Classic, and I almost slid into a lake. We had a ball drop that was a little too close to the water and I started falling in. Graham and Steve Elkington needed to pull me out by the pants,” Craver recalled. Another aspect of the professional caddy career that has improved is salary and potential tournament paydays. The total purse for this year’s 3M Championship was almost $1.8 million and winner Tom Pernice Jr. received a check for over $262,000. In addition to a full-time caddy’s salary, a caddy typically earns 5% of their player’s payday and 10% if his boss wins it all. Chapman finished 39th out of 80 players in the 3M field. Since 2001, one dimension of the PGA and Champions tour that become tougher is travel. During the 27 weeks per year that Craver is on the road, he pays all his own travel and hotel expenses. Flying to international events can be a consuming part of his professional regimen. Travel can also be one of the best perks of his job. 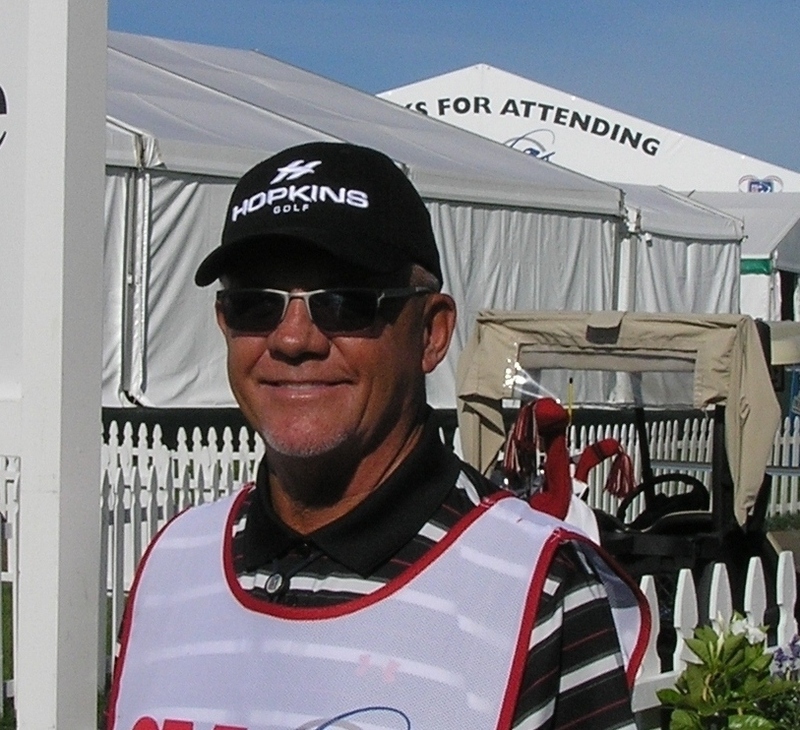 “When I was caddying on a Nationwide Tour event, we played in a Pro-Am with the CEO of Air New Zealand. He must have taken a liking to me because he upgraded me to first class for my flight home. That was pretty nice considering it was a 14-hour flight,” Craver said. Craver has no regrets as he reflected on his early days when five caddies stayed at a single hotel room to save money. This Winston Salem, NC, native revealed that an aching back is the only thing he’d trade for the memories he’s gained over nearly 40 years looping all over the U.S, as well as Japan, Australia, Europe, and all points in between. On a gloriously sunny 78-degree day in Blaine, Craver shared that he misses many of the caddies with whom he began his career. “There are about a dozen of us left from when I first started. Looking back, this has been a great job. With all the fond memories I’ve had and the amazing people that I’ve met, I wouldn’t change a thing,” Craver said. Category: Dream Golf · Tags: Byron Nelson Classic, caddy, caddy shack, Champions Tour, Craver, David Graham, Larry Nelson, Nationwide Tour, PGA Championship, professional caddy, Russell Craver, Tom Pernice Jr.